For Victoria Torres, middle school band is a completely average experience. She fifth chair out of nine flutes, after all. 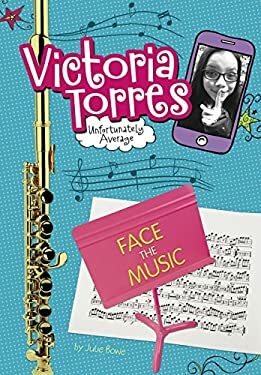 So when her band director asks for a volunteer to play the band's new piccolo, Victoria sees it as her shot to shine. The only problem?Victoria's best friend Bea, who sits first chair, wants to play piccolo too. The girls have to audition for the spot, and the band members will select the winner.Can Victoria and Beakeep the competition friendly, or will their friendship hit a sour note?"